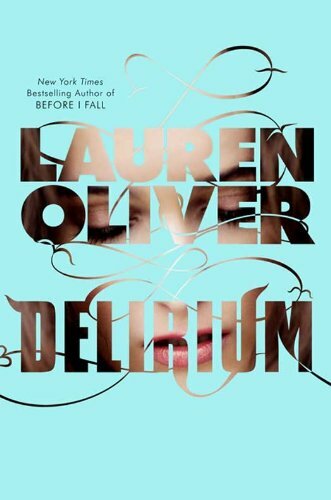 Delirium | What YA Reading? And I’ve always believed them. Now, I’d rather be infected with love for the tiniest sliver of a second than live a hundred years smothered by a lie. Amor Deliria Nervosa. Plato was the first to introduce the idea of love as a disease. Lauren Oliver takes this idea and transforms it into a strict, infuriating, frustrating, wonderfully dystopian world. I love the concept of falling in love in a world where love is illegal. I love Lena (the main character)’s mother, who supposedly committed suicide because she’d rather die loving her daughters than live loving no one. I love that, because of her family history, Lena is, at first, ridiculously excited to get Amor Deliria Nervosa’s cure. I love the Portland town that Lena lives in. I love how the futuristic U.S. is organized; the goverment decides who marries whom, where and if people go to college, where people work. I love the little quotes (from books in Oliver’s world) that introduce each chapter, and the effect they have on me. Red tides can’t be told from blood. In spite of this, I didn’t enjoy Delirium as much as I could have. I blame my prejudice towards this dystopian world (love being a disease). I mentioned that Lena’s mother apparently committed suicide to avoid being cured from love. Lena strongly disagreed with her mother for the majority of the book, which put me and her at odds. I, of course, see life without love as life not worth living, so for most of the book I fought with Lena. I tried to understand her point of view, but I couldn’t. At all. Furthermore, how Amor Deliria Nervosa’s cure works is not explained. What part of the brain does the cure’s operation’s 3-pronged needle fiddle with? How does messing with one emotion not affect other emotions? Do the cureds even feel emotions at all? If not, what makes them human? And, most importantly, how could you just switch off an emotion as heartfelt as love? Oliver’s world would be more realistic if the scientific portion of it were explained. And then there’s Delirium‘s ending. Oh, the ending. Prepare to be complete and utterly dissatisfied. And save up for the sequel. In the end, Delirium merits a whopping 3.5/5 stars. A great dystopian, if you’re not a scientist. 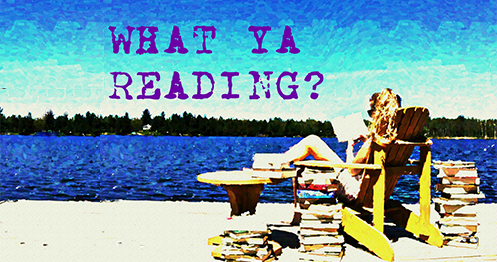 Pingback: Dearly, Departed | What YA Reading? Pingback: Top 10 Books on my Fall To-Be-Read List | What YA Reading?